She is gifted at graciously and confidently addressing the questions and concerns that come her way each day in Family Medicine. Who had the greatest impact on your life? Was it a parent or a coach? Was it possibly a teacher? Throughout history, it has been our teachers that have often had the greatest influence on our lives. Dr. Shannon O’Connor, Board Certified Family Physician, has built her philosophy of medicine upon seeing herself as a teacher. As with all great teachers, she is a great listener and excels at respecting the cares and needs of all she serves. She is gifted at graciously and confidently addressing the questions and concerns that come her way each day in Family Medicine. Dr. O’Connor’s love for caring for others in the context of medicine started as a child. Her father, a respiratory therapist, would often take the young O’Connor to visit children’s hospitals in Virginia. O’Connor reminisces that as a young child she was moved to help other children “feel better so they could go outside and play.” Dr. O’Connor is motivated to this day by that same desire to see those under her care experience the best quality of life possible. After graduating from Laguna Hills High School, Dr. O’Connor started her college career locally at Saddleback College. Working her way through college as a waitress, she went on to graduate with honors from University of California at Los Angeles. Continuing her training on the West Coast, she attended medical school at the University of California at San Diego. In medical school Dr. O’Connor discovered her love for Family Medicine. While a medical student planning to go into pediatrics, she would often volunteer at the Free Clinic in the San Diego area. It was at the Free Clinic that she observed and was greatly moved by her favorite teachers caring for adults and children alike. Emulating her mentors, with commitment and zeal, she continued her training as Chief Resident at the highly esteemed Long Beach Memorial Family Medicine Program. It was her broad training in various specialties that well equipped her for family medicine. In Family Medicine, Dr. O’Connor finds extreme delight caring daily for patients of all ages. 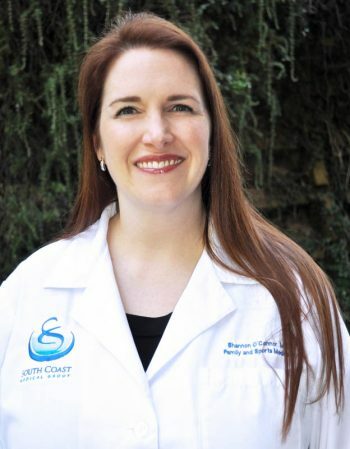 Her patients enjoy the same level of care and expertise that Dr. O’Connor would give to one of her own family members. Valuing long lasting relationships, she places a great deal of respect in the trust her patients place in her care. With an equal commitment to solid research and the latest in technology, she continues to grow in her readiness to give life-long care. 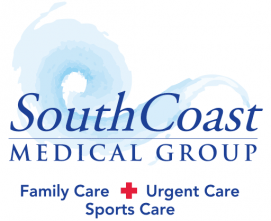 Dr. O’Connor joined the team at SCMG in 2006. She was drawn to SCMG by the atmosphere of what she calls a “true family practice.” She continues to be energized working with patients regularly with all their health needs – minor illnesses, well check-ups and chronic medical issues alike. 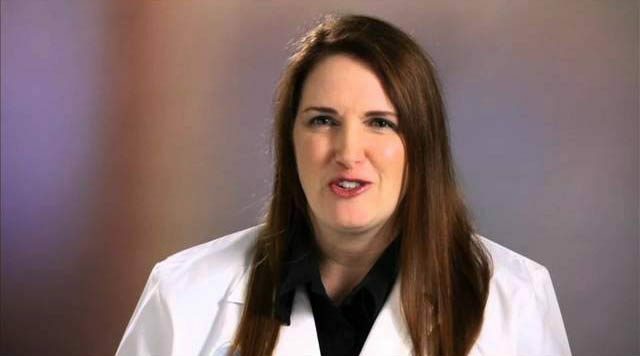 Dr. O’Connor is married and is mother to a toddler-aged son. She enjoys sports of all kinds, but is most enthusiastic about football and hockey.